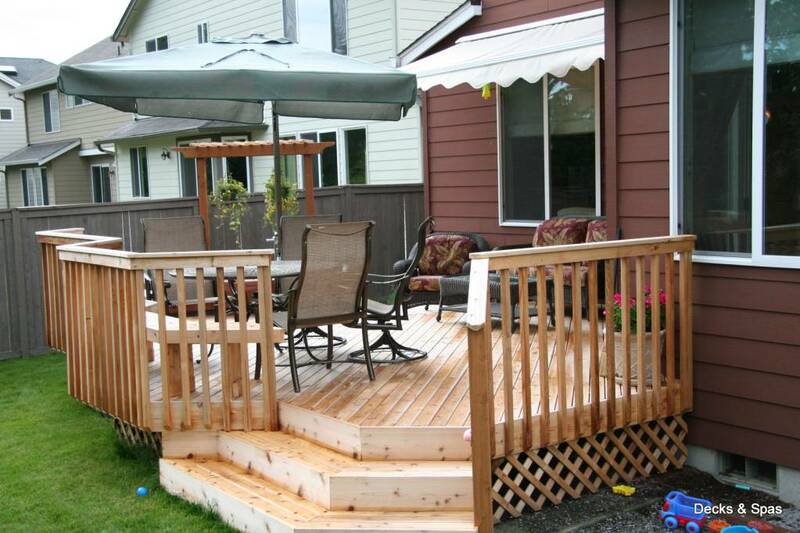 Whether the customer intends to have a small deck to step outside from or a big deck to cover their whole yard, we are up to the task. 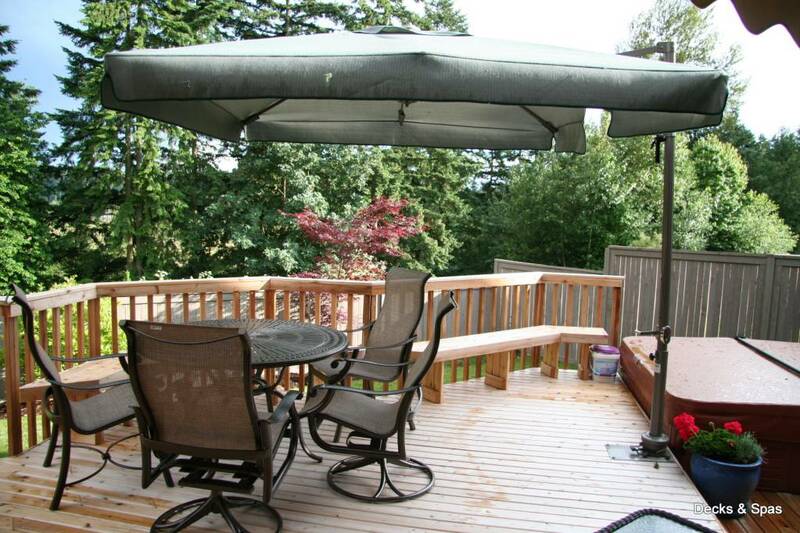 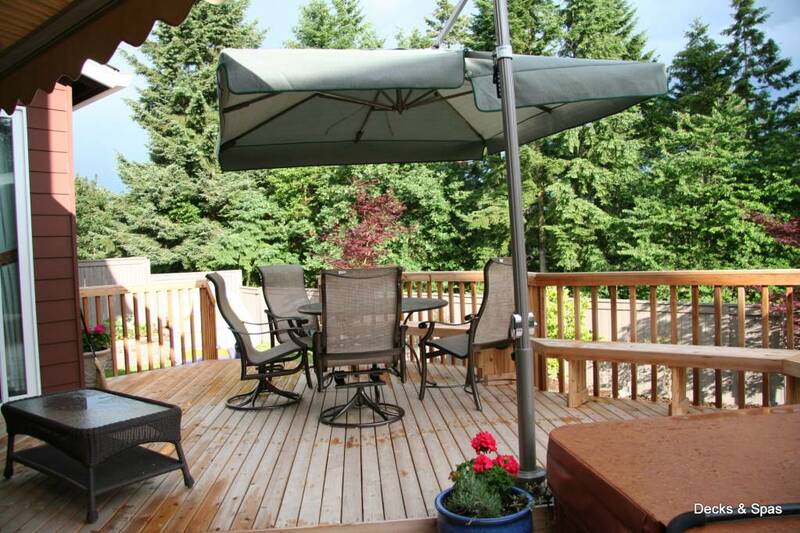 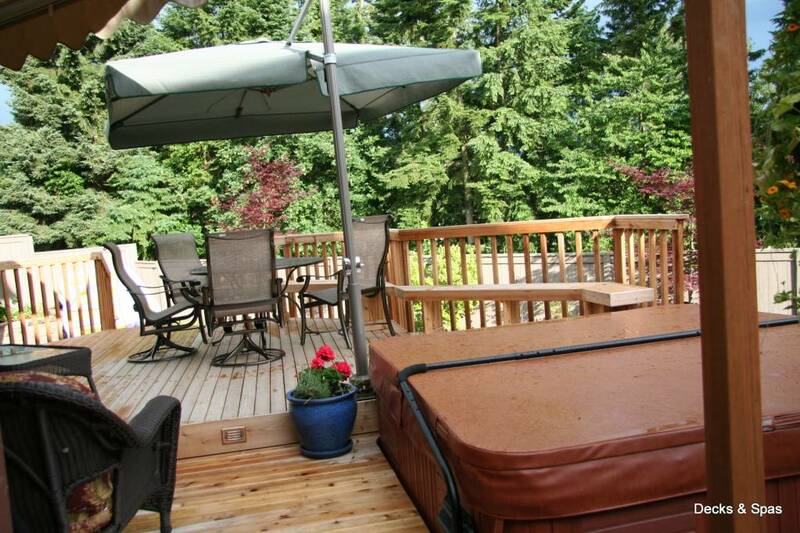 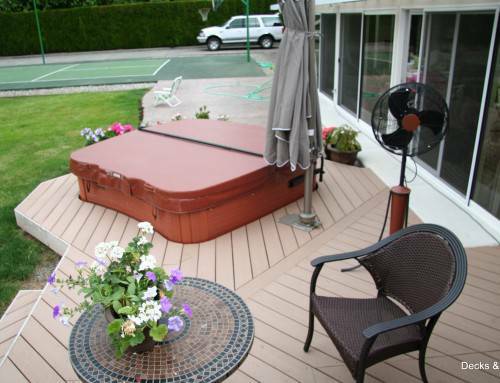 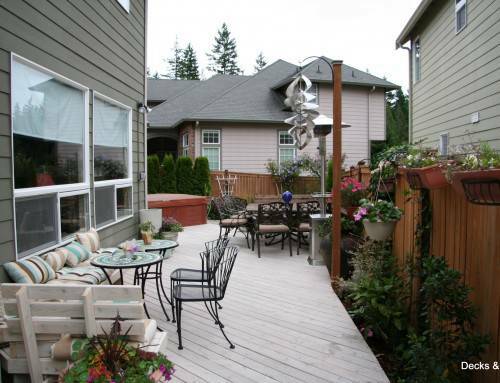 This deck may be small but when you compare it to that of our competitors, a square deck coming off the back door, you’ll see the space that actually opens up because of the deck design. 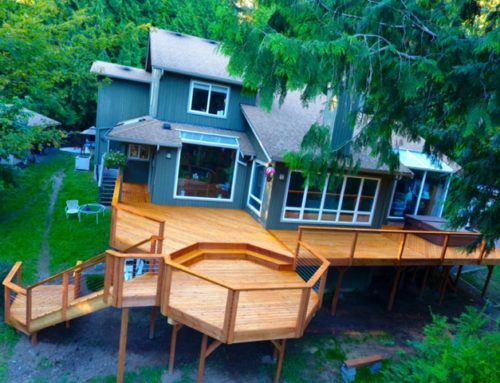 Different elevations and steps on the deck give separation to the different experiences the user can enjoy. 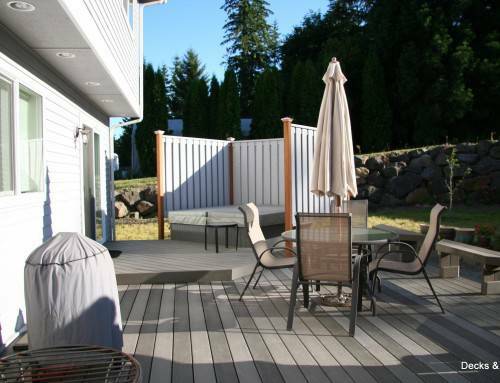 The angles that come off of the deck give the user and their guests a place to be without interfering with others that are also using the space. 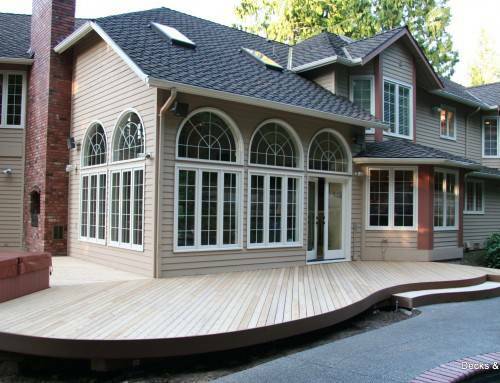 The design of the deck takes what could be a small patio area and expands it to create an extension of the house and an outdoor living area.